We all look for that bag that will carry all our lives in, because women just feel so much more secure knowing that if anything were to arise at a whim, we would be more than prepared. I for one have always been the carryall bag kinda girl, only until a few years back that I also became the small/mini bag girl who tried to see what she can do without (which you will be discussed further in Friday's post). Now that I live in Germany I have retracted to my old days were all I have on my mind is finding that perfect classic carryall bag that will not only provide me with some serious chicness but will also withstand the test of time. My husband asked me if I had one bag to pick that I would use day in day out, which one would it be, and it got me thinking, so much so that the reason for this post was to narrow down my own search and come up with extremely good contenders, it was not an easy task, because there really is amazing classics out there. These are the five top bags that I would love to have in my closet, even if I only get to have one of these, I would be content. What do you think of my choice? 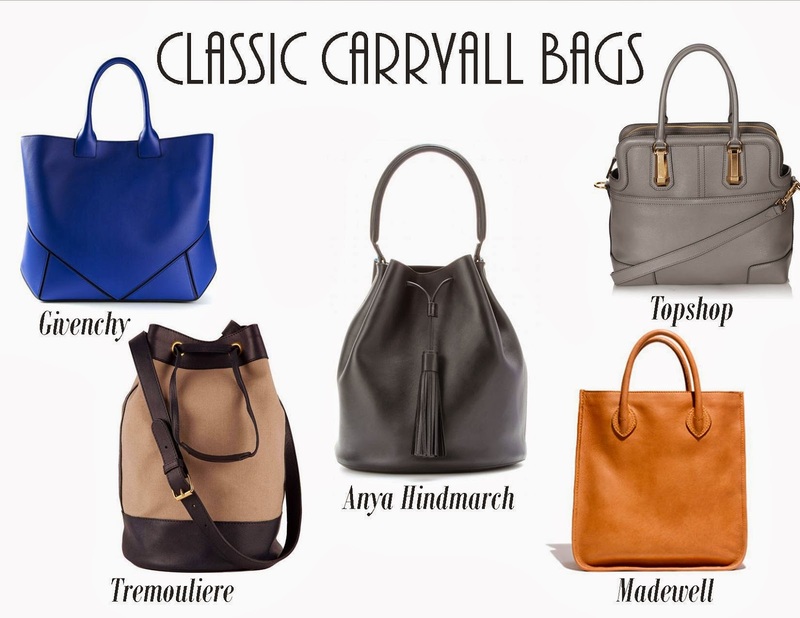 and do you have your own "IT" classic carryall that you would want or just can't live without?